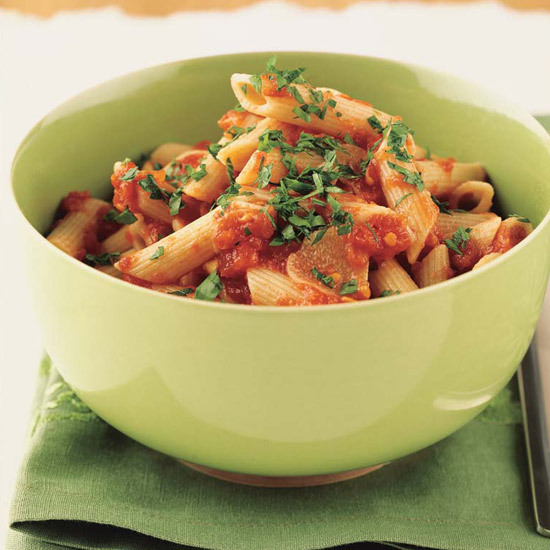 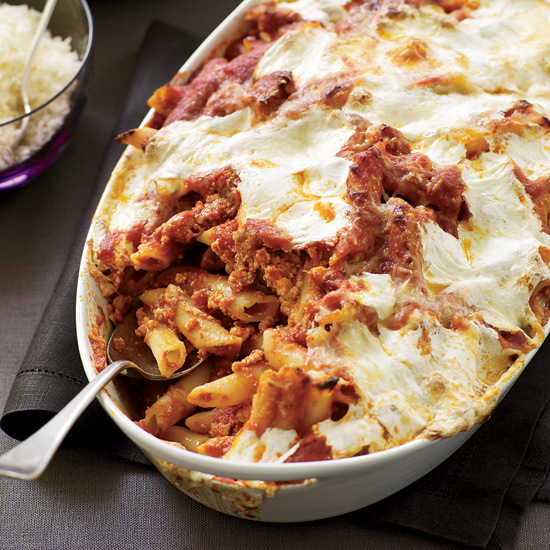 Delicious recipes for penne include a spicy tomato sauce with shrimp and a hearty baked pasta with sausage and creamy ricotta. 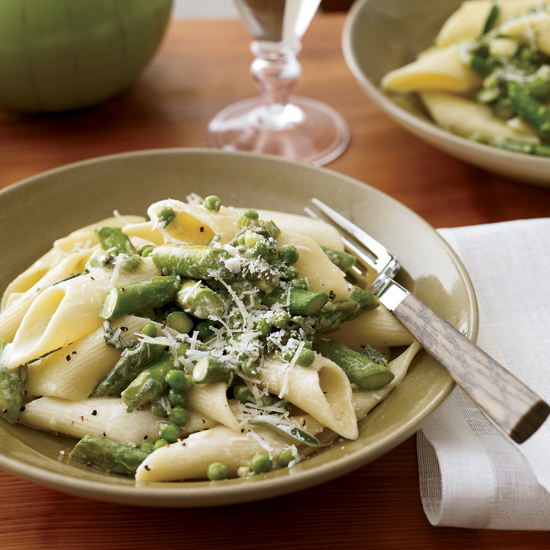 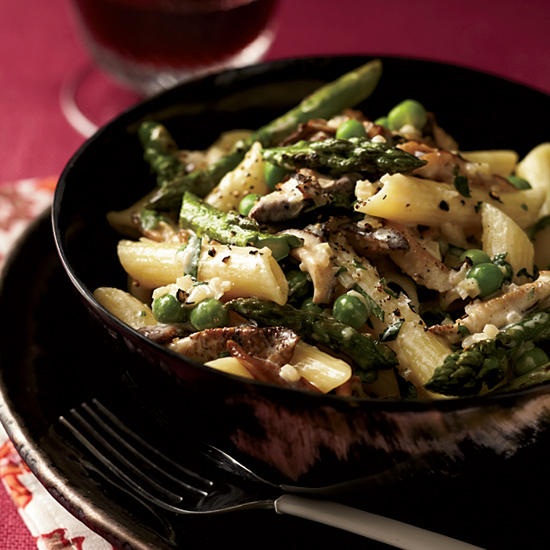 This simple vegetarian pasta combines the flavors of spring—mushrooms, peas and asparagus—in a luscious creamy sauce. 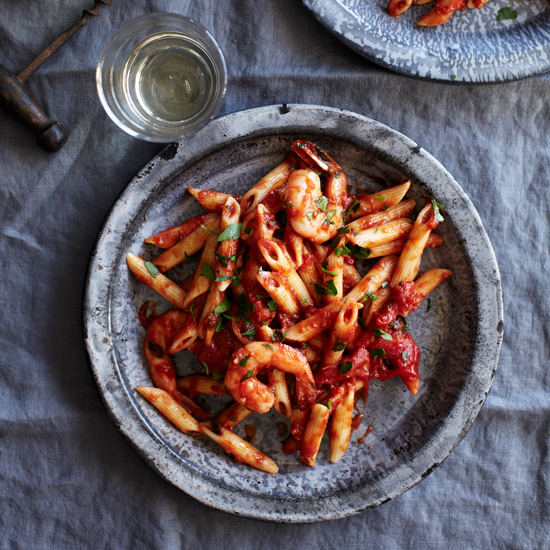 Fabio Trabocchi, an F&W Best New Chef, likes this unusual method of cooking pasta in the style of risotto to create a rich, silky sauce. 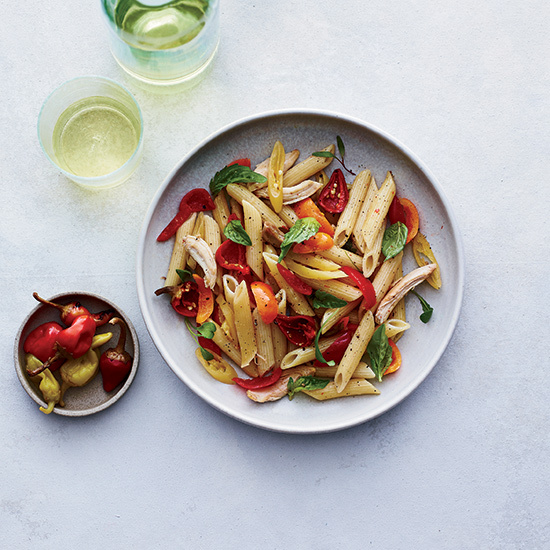 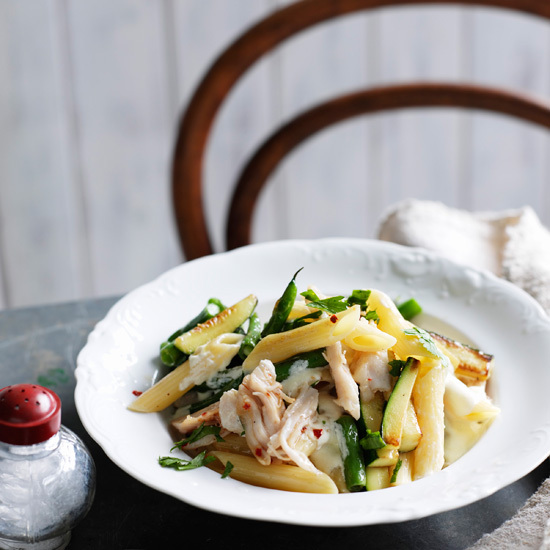 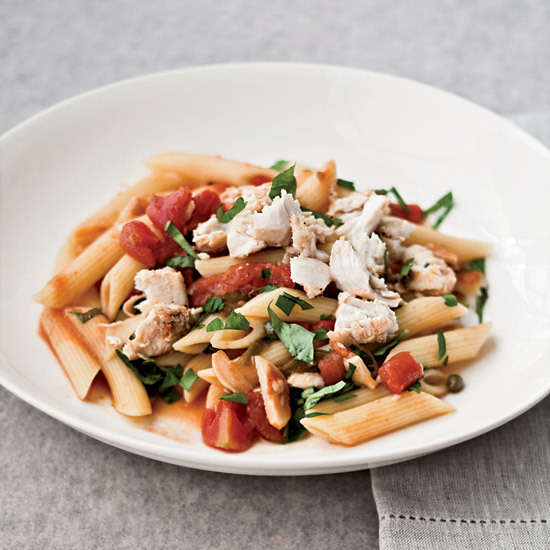 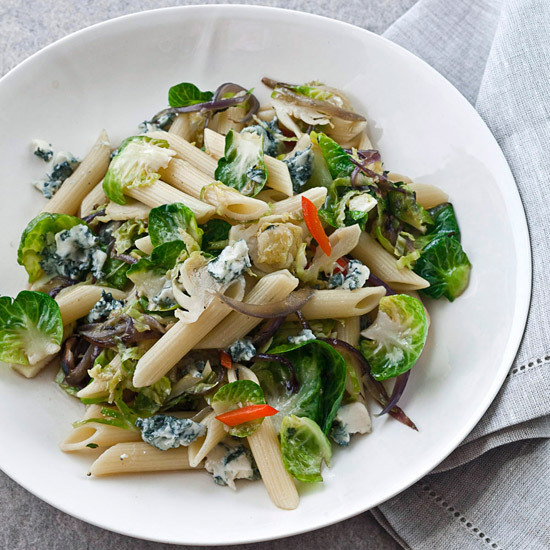 "It works beautifully with small shapes like penne," he says. 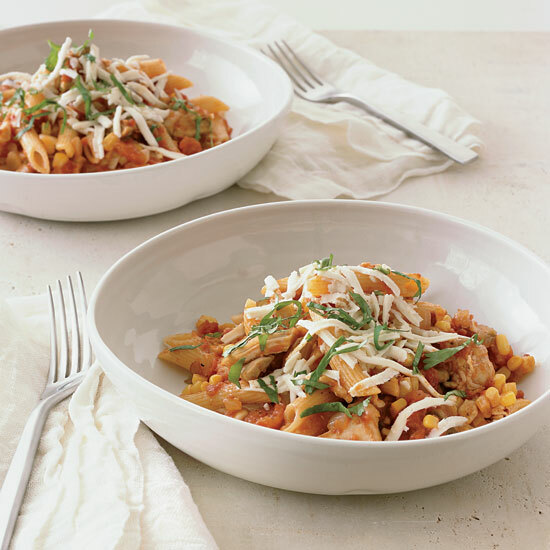 A really good imported slow-dried pasta will be quite porous, which allows it to soak up liquid bit by bit, just as rice does in risotto; it also means the pasta will maintain its shape as it becomes al dente. 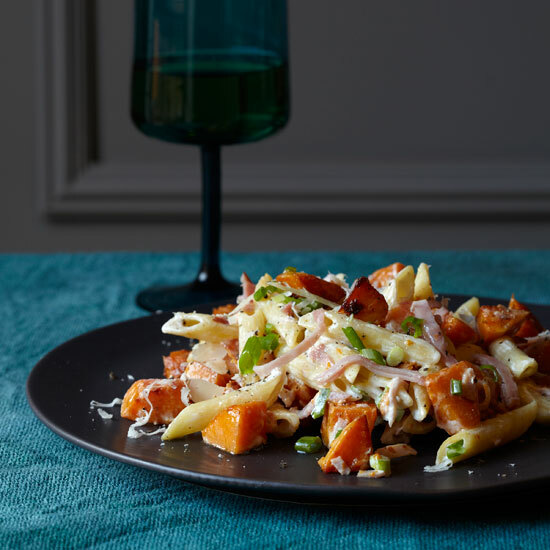 F&W's Justin Chapple uses only six ingredients in his simple and spicy pasta; it's a perfect weeknight meal.